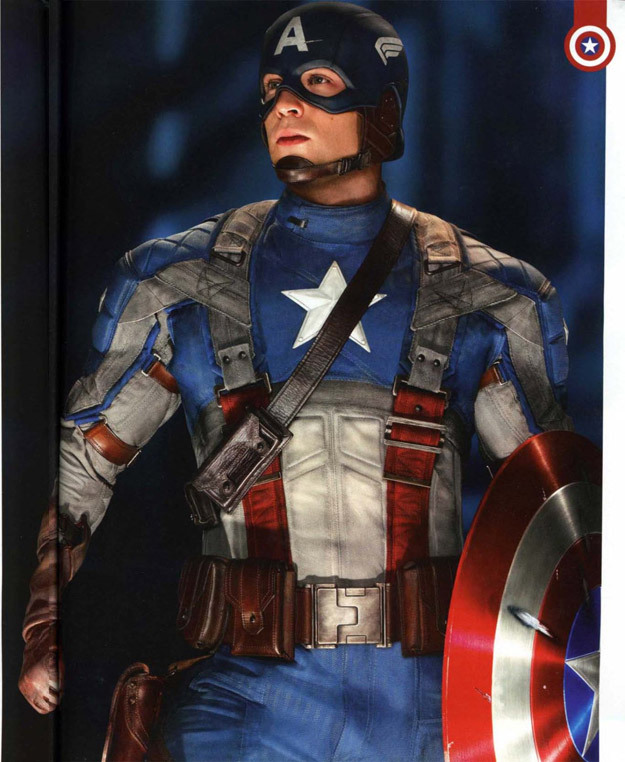 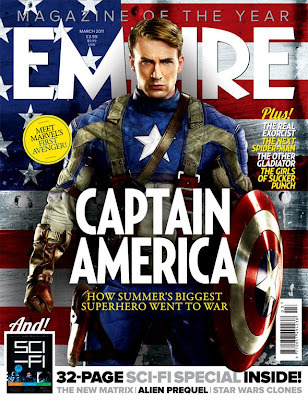 The new Empire cover features Chris Evans in his stars-and-stripes as 'Captain America: The First Avenger'. Directed by Joe Johnston, the action adventure stars Chris Evans, Hayley Atwell, Hugo Weaving, Sebastian Stan, Toby Jones, Samuel L. Jackson, Dominic Cooper, Tommy Lee Jones, Stanley Tucci and Neal McDonough. 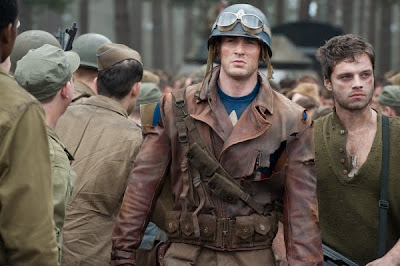 Chris Evans also told Les Toiles Heroiques that he is not contracted for nine Marvel films as was previously rumored. 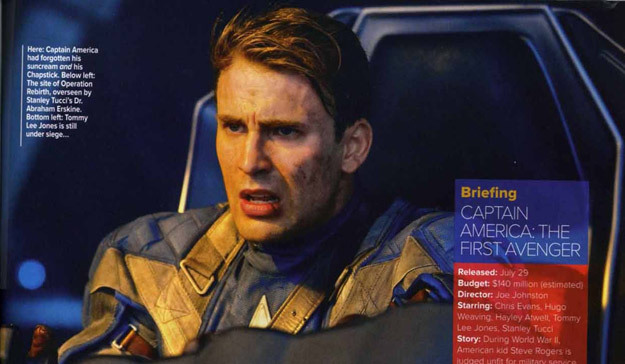 "To be honest," he says in a quote translated back from French, "it was quite intimidating to commit to nine films in a row. Thankfully, we reduced the number to six... If all goes as planned, I will be playing Captain America until I'm 40." 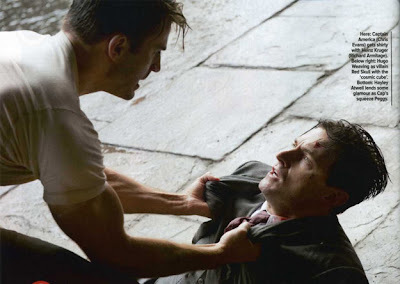 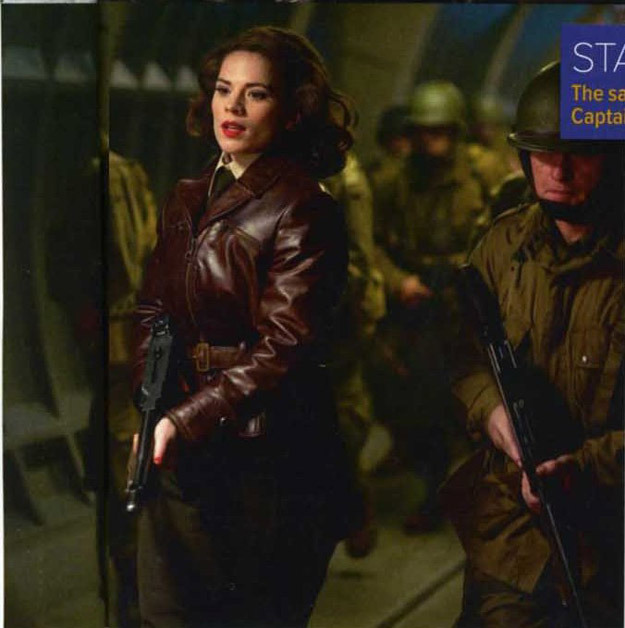 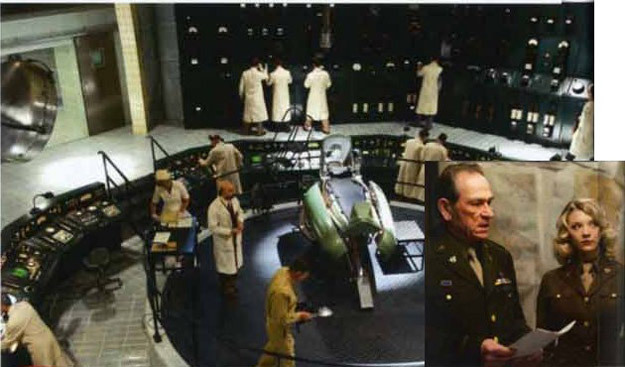 Describing the movie version of Bucky, the character as the "Band of Brothers" version, director Joe Johnston says that Stan's performance will offer a "dark side" to Barnes. Also Samuel L. Jackson appeared on Late Night with Jimmy Fallon and confirmed that Nick Fury will be making cameo appearances in 'Thor' and 'Captain America: The First Avenger'.